Spacieux, charmant 1,896 chalet au sommet de calme, sentier magique. Formé d'un «arbre-top" pacifique sentir, mais est seulement 2-3 min. marcher à la boutique de l'île d'épicerie, restaurants, café, crème glacée, ferry (Whole Foods offre!) et 8 min. à pied à sable. Aussi pratique pour les mariages à l'Inn. Détendez-vous sur les vérandas ou en plein air, lire un livre par la cheminée à gaz dans la nuit, grill de votre dîner sur la grande terrasse arrière ou de la pop pour Portland pour une excursion d'une journée sur le ferry. Nouveaux canapés, de nouveaux lits dans trois chambres (deux complète, une reine) et diverses mises à jour font un charmante maison-loin-de-maison pour vos vacances détendue de l'île. Bienvenue sur la côte du Maine! 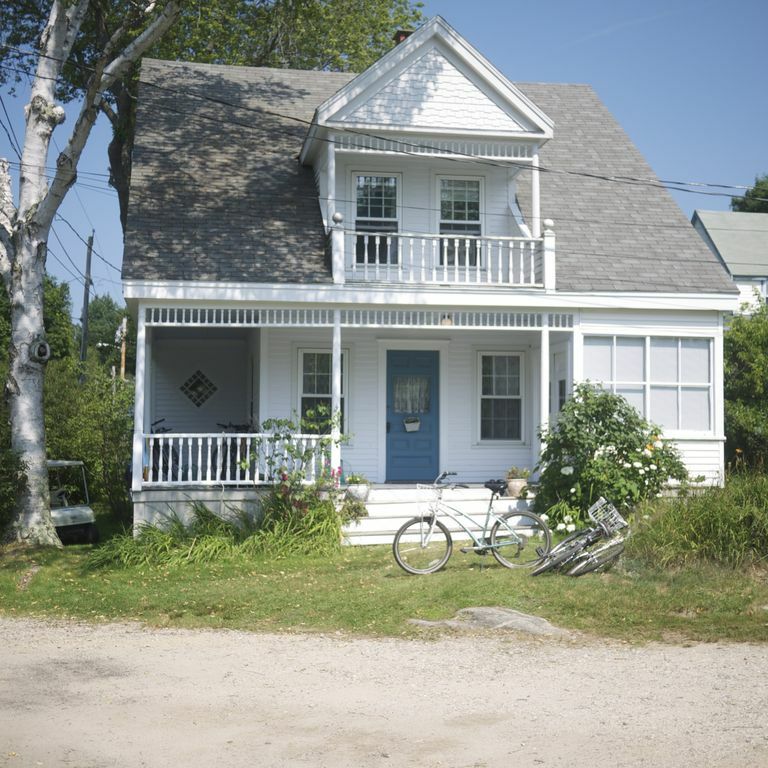 My family and I stayed for 2 days and had a wonderful time at this quaint, little cottage on Peaks Island. The house was built in 1896 and it definitely has character. My kids had a great time with the old games and puzzles and my wife and I enjoyed utilizing the kitchen! Would definitely recommend to anyone! So glad you had a great visit, Jim. Just let us know if you'd like to return anytime! Great Maine cottage character but a bit too rustic and rickety upstairs. Peaks Island was a great Maine experience. Thanks for your thoughts. Glad you enjoyed it overall. We've never had guests say it was too rustic upstairs, most enjoy the character throughout. But the feedback is very helpful. Perhaps we'll add a few more updates upstairs for this next season! We arrived smoothly thanks to excellent directions from the owner. The house was fresh and clean and in a lovely setting, and, as promised, within walking distance of the ferry and the shops. A beautiful old wooden house with a front porch to sit on, perched on a hill in a quiet spot, it felt like a traditional New England style and light and airy Scandinavian style all at once. There was a spacious kitchen and a back deck where you could lie and look up at the sky and and feel like you were in a tree house. Beds were comfortable and fans and air circulation were excellent upstairs in the late summer heat. The owner and the local provider of towels and sheets were readily available and helpful when we had any questions. We would return to this house in a heartbeat and would definitely recommend it to anyone else! Our stay for the weekend was perfect, everything was provided in the house except sheets (keep that in mind, but a service is offered making rental super easy). The cottage has an almost perfect location, though the walk can be a little long with baggage from the ferry, it is only about 4 minutes walking by the trail to Hannigan's and the ferry. This is a lovely home- it’s a typical turn of the century summer home with updates. It’s very comfortable: the beds are good and the kitchen dining area is spacious. The front porch and back deck are wonderful to hang out on. Tim was a very helpful host. There is a foot path that leads to the grocery store and the ferry; so for a week we didn’t use our car. It is a clean bright space. We had an enjoyable week. No pets, non-smoking. In July and August, it's 7 day, Saturday-Saturday rental. There is more flexibility with dates for the low season in September-October.